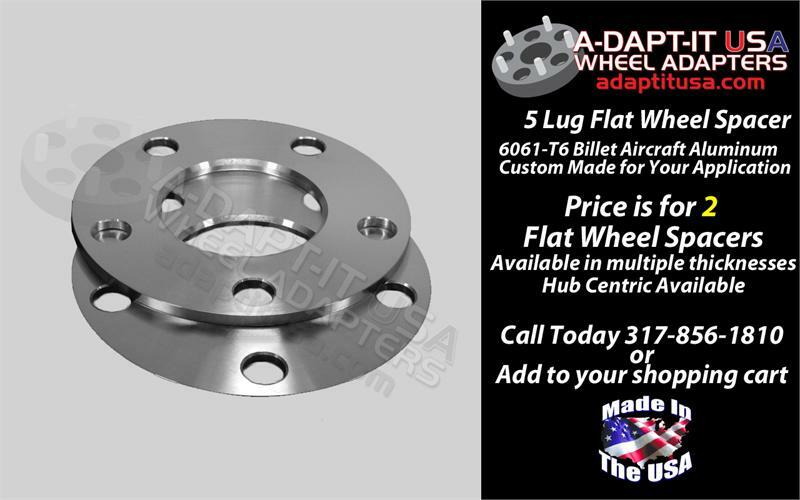 A-DAPT-IT USA Wheel spacers are made from 6061-T6 Billet aircraft aluminum. If this material is strong enough for a stealth bomber it is strong enough for you. Each spacer is hand built to your specifications upon ordering, Flat spacers are sold in pairs of 2. 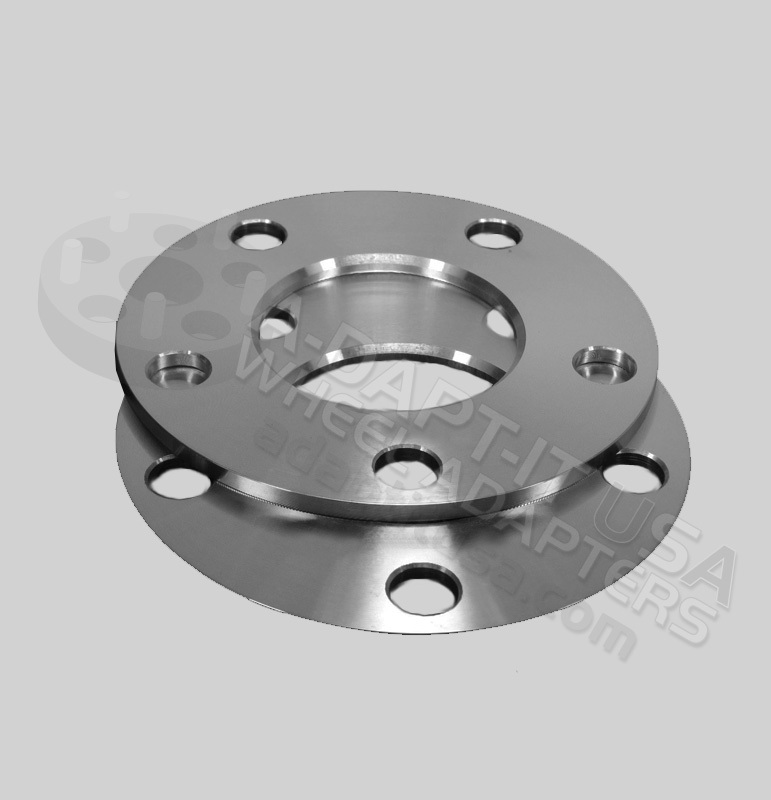 We use the specifications of your vehicle to determine the center bore of the spacer. Our general lead time is 7-10 working days from the time you order. All sales are considered final at time of delivery (unless prior arrangements have been made) Wheel spacers are NON-RETURNABLE when ordering make sure you have all the correct information. If you are not 100% sure what you need, please contact us and we can further assist you will choosing the right spacers.